This Seaside School, which was built c. 1931 as its second building, is reported to be the oldest African American school remaining on Edisto Island. 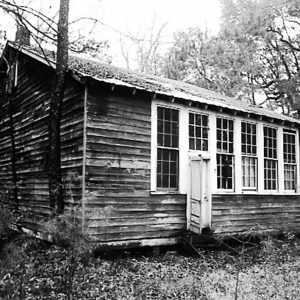 From 1931 until the construction of a consolidated school in 1954, black residents of Edisto Island received their primary education in this building, a one-story, two-room rectangular frame. In 1930, the Edisto Island school district had planned to merge Seaside with Central African American school, but the community, affected by the Great Depression, could not raise enough money for the lot and school supplies. This smaller structure was built instead.